The famous company that pioneered instant photography, Polaroid has officially announced the launch of its new bluetooth and USB-enabled Digital Instant Mobile Photo Printer, which is the easiest way to print and share photos from your mobile phones and digital cameras. This innovative pocket-sized Polaroid portable printer will utilize a revolutionary process to create full-color digital photos without any ink cartridges or ribbons, thanks to the power of ZINK Zero Ink Printing Technology. 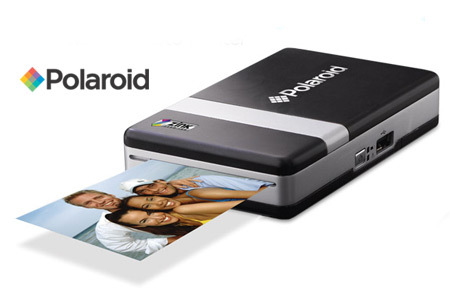 The new Polaroid Digital Instant Mobile Printer which measures 120mm (4.7”)H X 72mm (2.8”)W X 23.5mm (0.9”)D is expected to be available in Q2 for around $150.